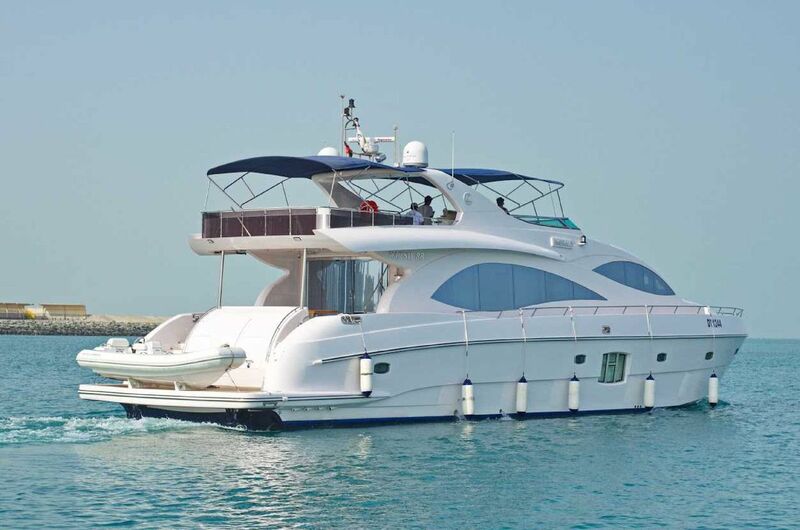 The Majesty 88 EMERALD accommodates up to 40 guests for day cruises. 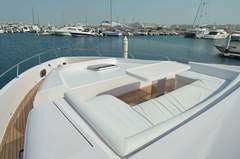 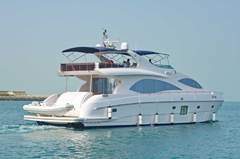 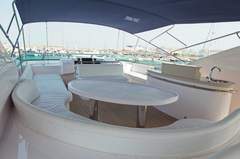 The luxurious yacht provides a fully equipped kitchen and 4 guest cabins with bath en-suite for up to 8 overnight guests. 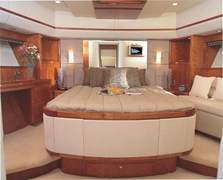 Separate crew quarters for 3 crew members. 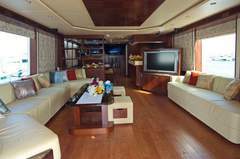 The Majesty provides an entertainment center a TV, DVD and CD. 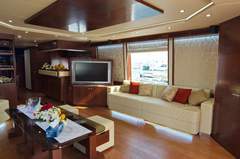 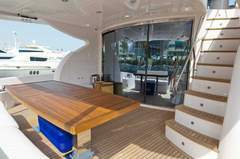 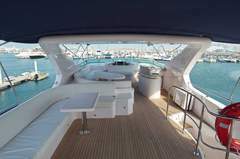 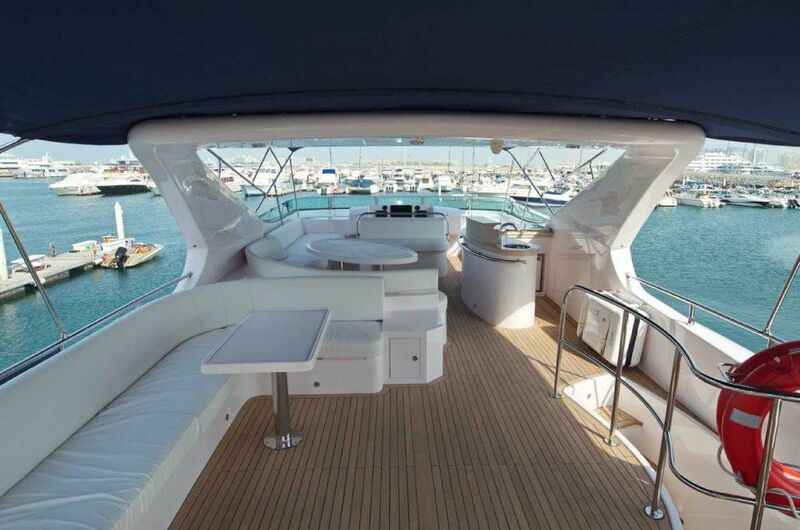 The flybridge is equipped with bar and barbeque and huge deck space. 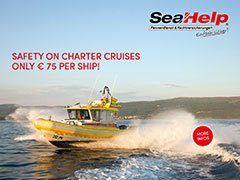 Minimum charter duration 2 hours. 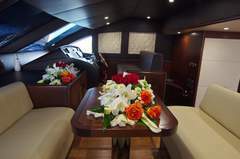 Fuel, crew and soft drinks are included in the rate.